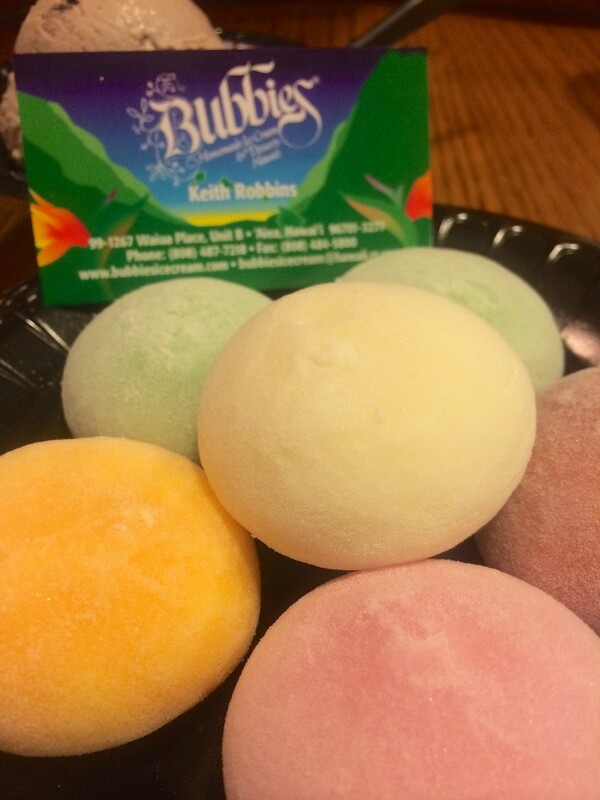 Bubbies (Map): let me declare to the world that I am a freaking ice-cream mochi addict and I don’t care who knows! This little gem, Bubbies, is the highlight of my trip. I visited this place about 3 times, in a 5 day span, just for the green tea mochi. A must try! 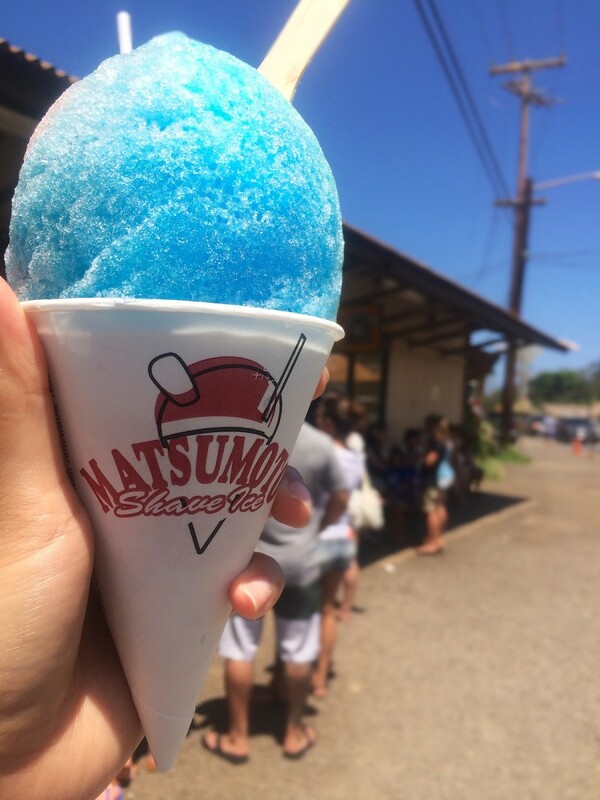 The famous Matsumoto Shave Ice located in North Shore (Map). I can’t believe the line for this place — better wear sunblock to endure the wait! On a hot day in Hawaii — which is almost everyday — this ice treat is the most delish thing you’ll ever put in your mouth. It’s so thirst quenching! Frostcity (Map): Now this is be worth the wait if there is a line to eat here. The flavors are unique and refreshing! 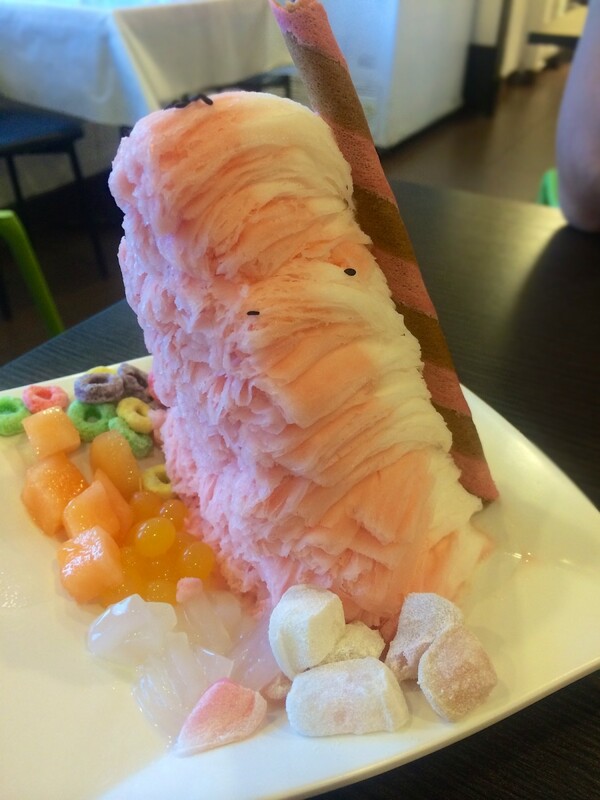 The ice is light, fluffy and not too sweet — that way, you can eat the whole thing by yourself and not feel so guilty. 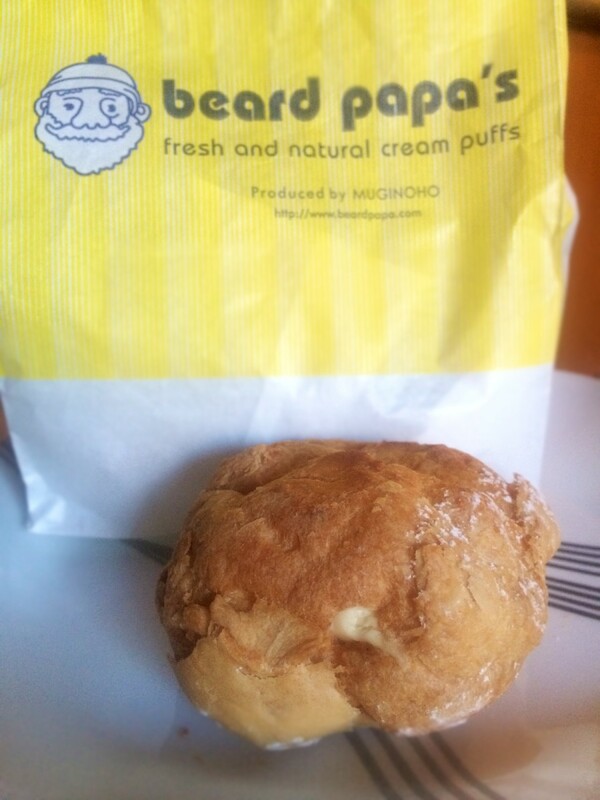 Beard Papa (Map) (International Chain): Notice that this cream puff is not your average size cream puff. It’s as big as my face! – ok not literally that big, but it’s huge. 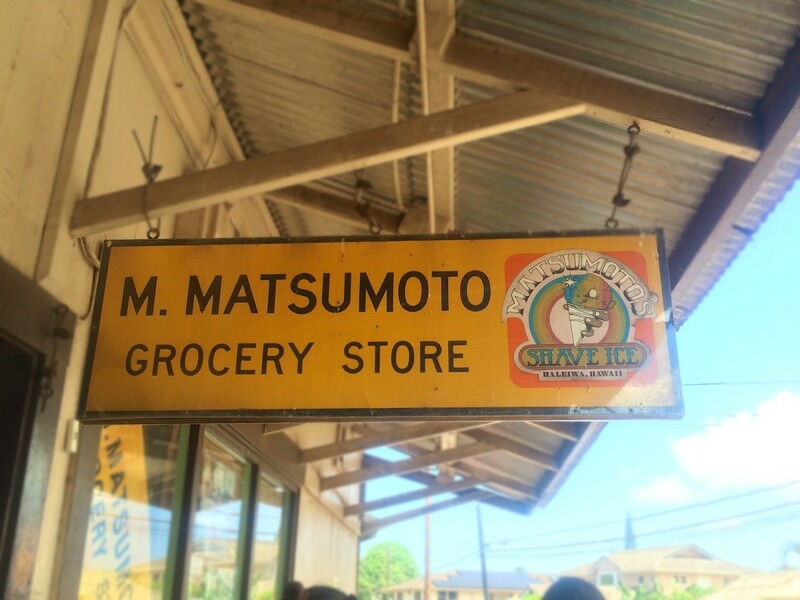 This is a chain and it is located all over, not only in Hawaii, so don’t be sad you can try it too!!! There used to be a location in Chicago, but, sadly, not anymore. Daniel is super excited to eat this gooey, creamy puff ball. I think he would’ve married the girl that served us this.